Due to the unforeseen circumstances of last week the Board Election Committee have agreed that for fairness and transparency the Election deadline will be extended. The new closing date for polls will now be 1200UTC Saturday 25th October. 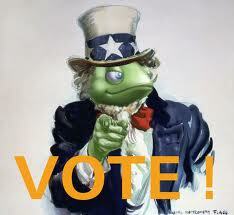 The openSUSE Project is looking for a few good leaders, and voters! As already announced by AJ, the board founded the election committee for the first openSUSE board election. The committee is now seeking candidates and encouraging openSUSE contributors to sign up for membership. The election committee encourages all openSUSE contributors to apply for an openSUSE membership to gain voting rights, and to consider running for a position in the board. Being a member of the first community elected board is an unique opportunity to help the openSUSE Project mature and grow. There are only two weeks left to get this done – application deadline ends September 24th, 12:00 UTC. Find the full schedule and much more information on the election wiki pages. The openSUSE board leads the overall project and provides guidance and support existing governance structures, but doesn’t direct or control development, since community mechanisms exist to accomplish the goals of the project. The board consists of five members, four elected by the openSUSE members (2 Novell and 2 non-Novell) and a Novell appointed chairman. Pascal Bleser (Part 2) and Andreas Jaeger have written some blog posts on the first year of the board and gave some interesting insight views on what should be done next. This is going to be a very important year in the growth of the openSUSE Project, and we want to start it off right. Whether you want to run for a board seat, or just vote for the candidates you trust to do the best job, don’t wait! The deadline for board candidacy and to have openSUSE membership approved in time for the election is less than two weeks away! The new board members will be elected for either one or two years, starting first week of November. openSUSE membership is granted to those who have made continued and substantial contributions to the openSUSE Project. Members are approved by the openSUSE Board, and membership must be submitted by September 24th for members to be eligible to vote in this election.